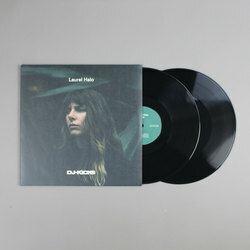 Laurel Halo - DJ-Kicks - Laurel Halo. Vinyl LP, CD. Bleep. Michigan’s very own Laurel Halo serves up a smorgasbord of delights on her DJ-Kicks mix. Running to an hour and featuring almost thirty tracks, this wide-ranging set is full of surprises and secret treats. 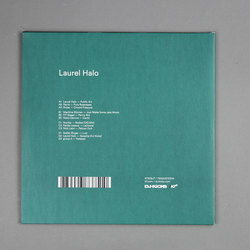 Halo provides two new tracks of her own here, and one of them starts off the mix. ‘Public Art’ is an arrestingly strange introduction, one in which prepared pianos and indistinct chatter are submerged in a soup of reverb. The spacious piece allows Halo’s next selection, the industrial funk of Stallone The Reducer’s ‘Always Hate’, to hit even harder when it comes in. The juxtaposition of these two soundworlds - one stiff-necked and club-orientated, one experimental and almost psychedelic - is something Halo runs with for the rest of the mix. While retaining a pulse throughout, the driving techno numbers here are also characterised by their focus on atmosphere. As such, it’s no surprise to find cuts from artists like Facta, Ikonika and Via Maris among the tracklist of the 68th DJ-Kicks edition. The exclusive cuts all fit the vibe perfectly - an indication that Halo knew exactly what she wanted her mix to sound like. Machine Woman, Rrose, Dario Zenker, Griffit Vigo and Final Cut all offer up tracks that wed tough club rhythms to some evocative production choices. Halo’s second newbie, the shuffling ‘Sweetie’, is no exception. The closing act is almost a mirror image of the opening, with Group A’s minimal synth freak-out ‘Ketabali’ giving way to the palate-cleansing percussion of closer ‘Ntu’ by The Whitefield Brothers. 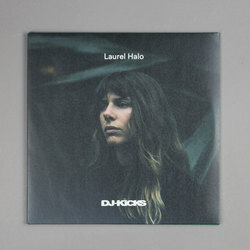 Laurel Halo’s DJ-Kicks entry is another singular achievement in a career defined by singular achievements.